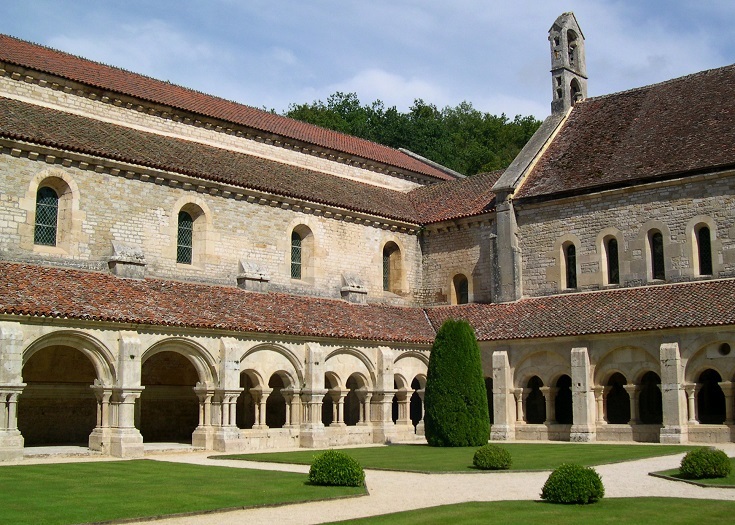 Founded in 1118 by Saint Bernard, Abbaye de Fontenay is the oldest and one of the most beautifully preserved Cistercian abbeys in Europe. 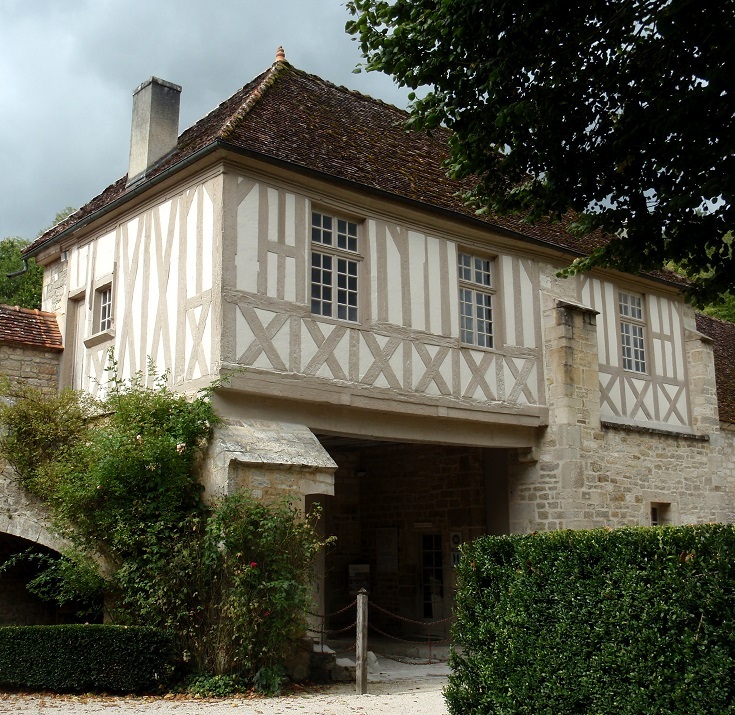 Occupying over 1,200 hectares of land in a wooded valley, it enjoyed a peaceful existence for most of its first seven hundred years—interrupted only by English looting in 1359 during the Hundred Years War. 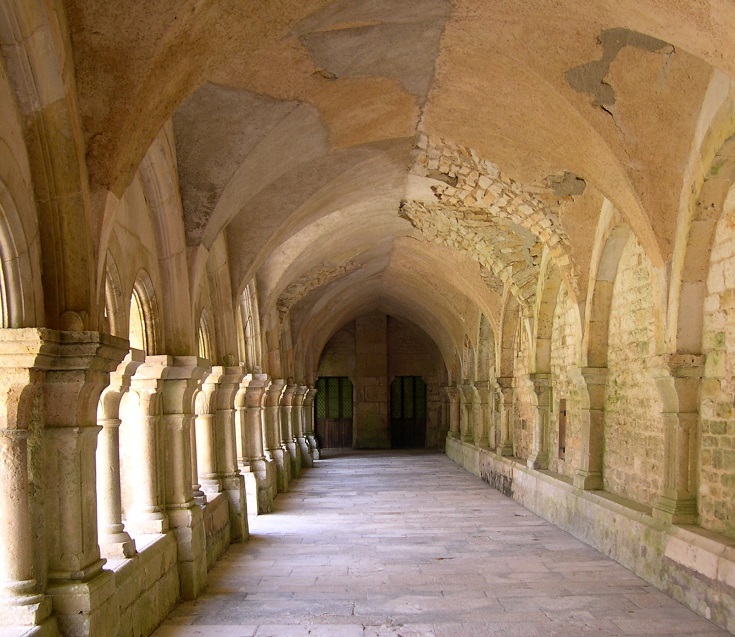 The abbey was confiscated in 1789 during the French Revolution and the last remaining monks left the following year. In 1791, the new owner transformed the buildings into a paper mill. Thirty years later, the site was bought by Elie de Montgolfier, a descendent of the inventor of the hot air balloon, and developed into a paper factory. Montgolfier’s son-in-law later acquired Fontenay and, in 1906, dismantled the industrial buildings and began restoration works to bring the site back to its original state. A small museum near the entrance displays photos of the buildings and grounds prior to the restoration, highlighting the incredible work that has been done. 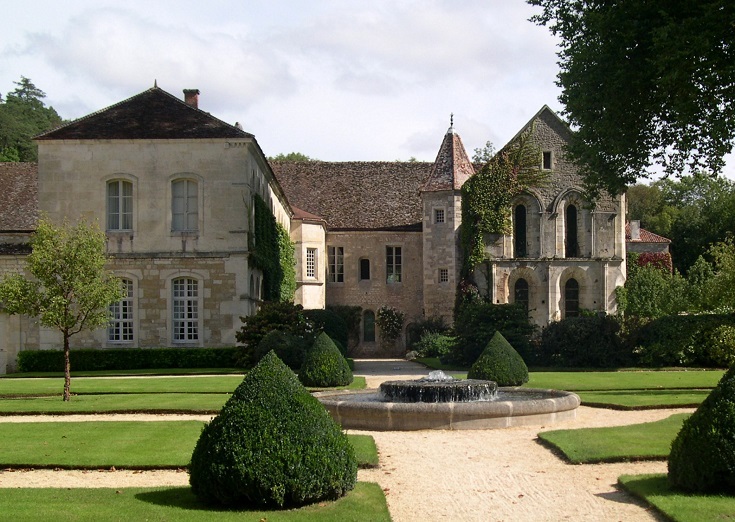 Fontenay was declared a UNESCO World Heritage site in 1981 and is still preserved and maintained by the Montgolfier family today. 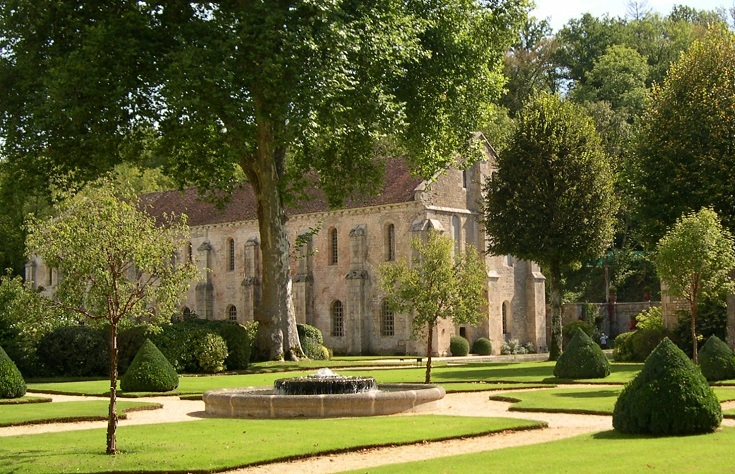 Several movies have been filmed here at the abbey—the best known perhaps being the 1990 version of Cyrano de Bergerac with Gérard Depardieu. 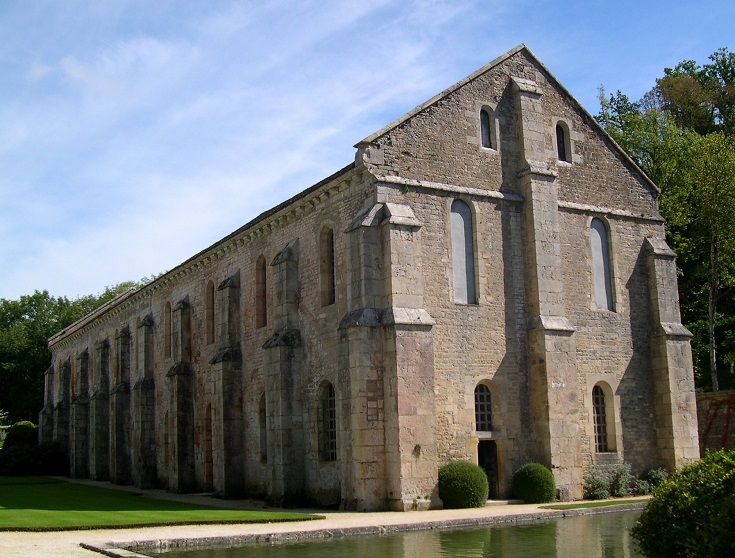 The abbey is open to the public every day but closes for lunch during the winter months. 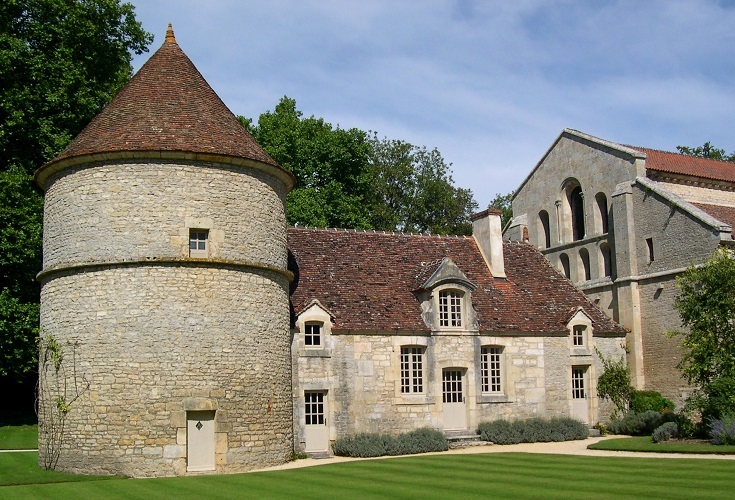 Check the Abbaye de Fontenay website for opening hours and details of special events. Each September, mass is held here to commemorate the consecration of the church on 21 September, 1147. From mid-April until mid-November, guided tours are held throughout the day. 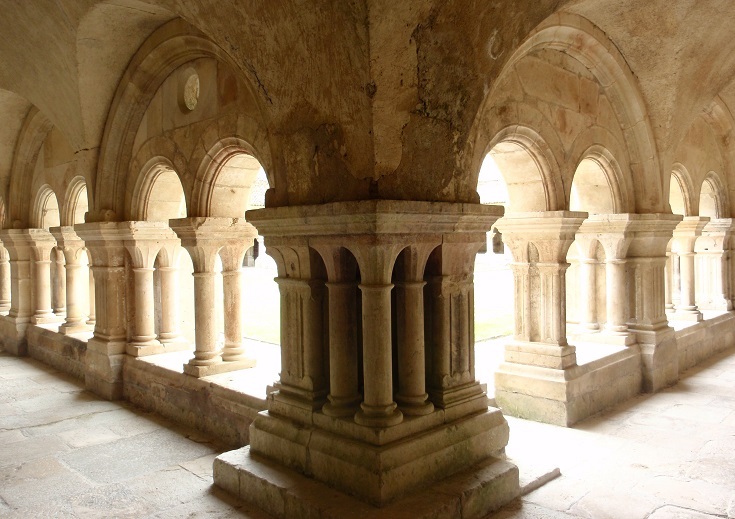 However, if you prefer to explore on your own, a guided map (available in many languages) provides insight into the history of each of the buildings including the refectory, the monks’ room, the chapel, the cloister and the forge. 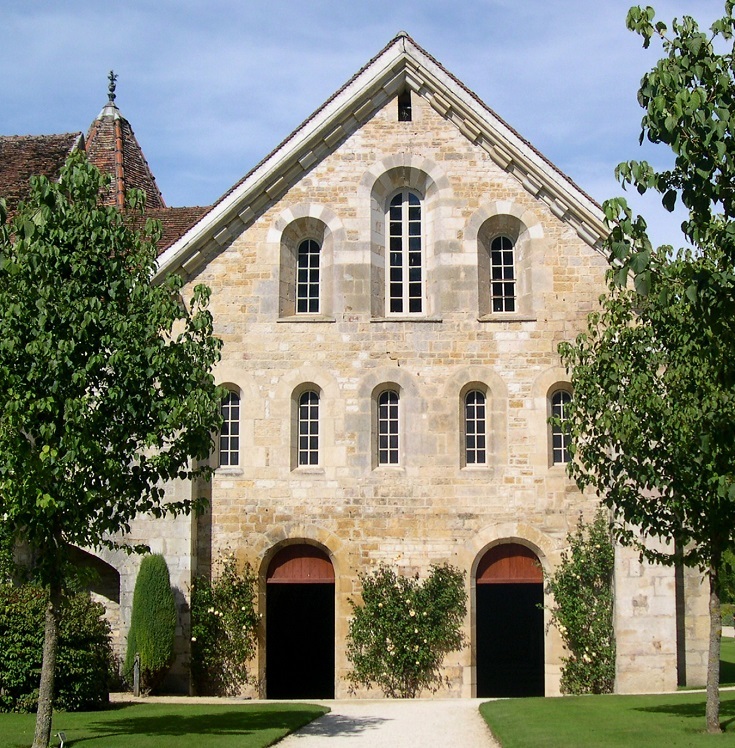 The closest town to Abbaye de Fontenay is Montbard where I recommend stopping on the fifth night of your walk along the Burgundy Canal. 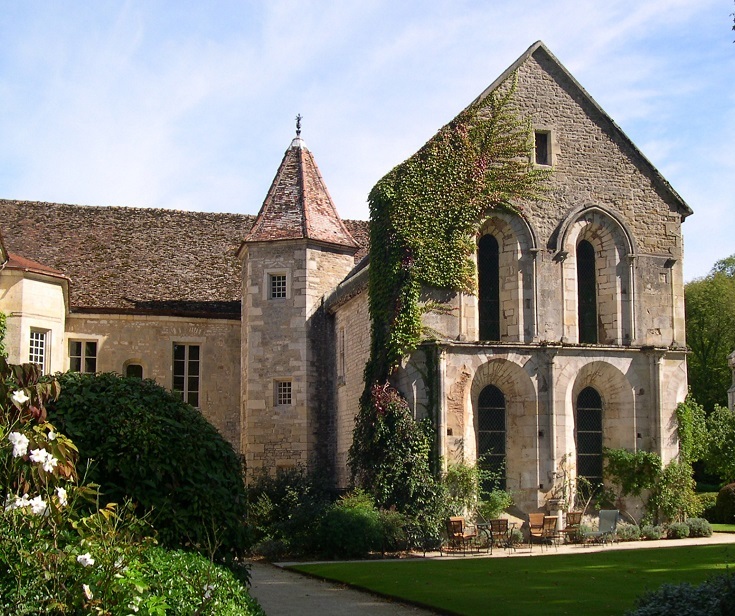 I suggest taking a rest day in Montbard to visit the abbey and the ‘most beautiful village’ of Flavigny-sur-Ozerain – both can be reached using the shuttle bus which runs three times each day in summer. At other times of the year, you can make the journey from Montbard by taxi. 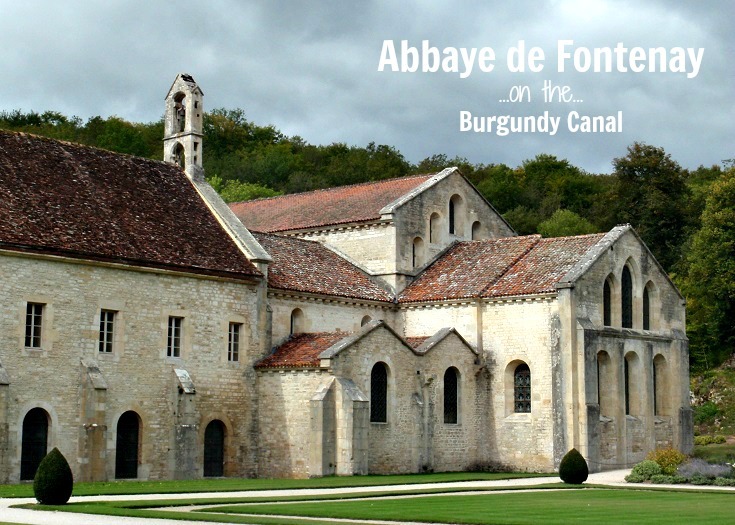 You’ll find the Tourist Office in Montbard at Place Henri Vincenot near the train station (on the right side of the canal as you walk from Migennes) where the friendly staff will help organise your visit to the abbey. Opening hours are listed here.